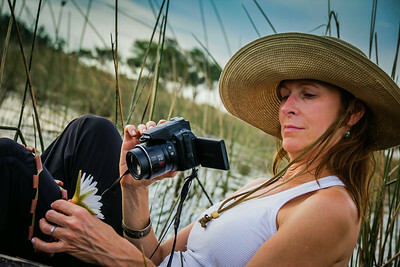 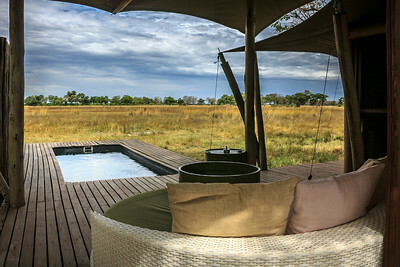 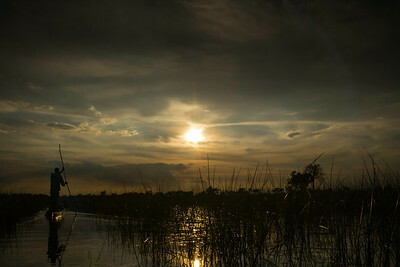 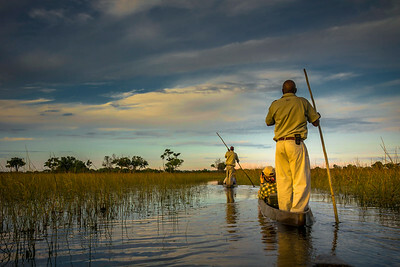 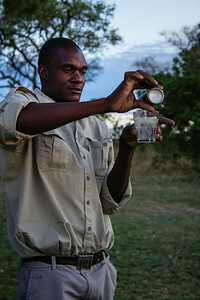 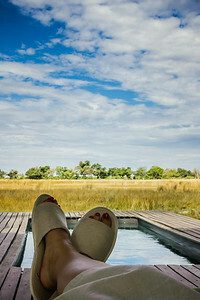 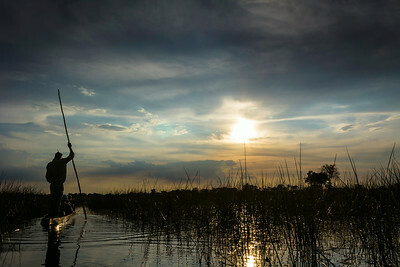 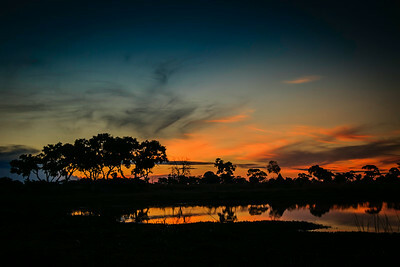 Pouring gin and tonic sundowners, &Beyond Xaranna Okavango Delta Camp, Botswana. 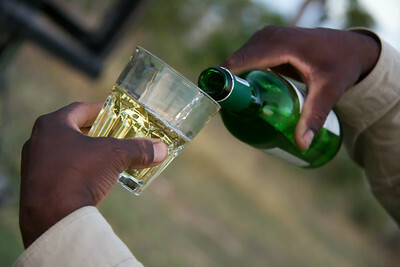 Pouring a glass of wine for sundowners at &Beyond Xaranna Okavango Delta Camp, Botswana. 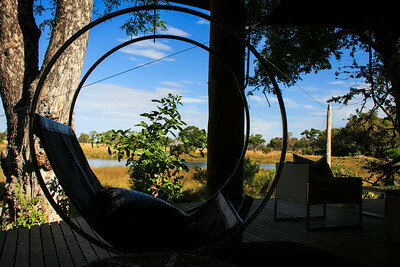 Design detail, circular swing chair, &Beyond Xaranna Okavango Delta Camp, Botswana. 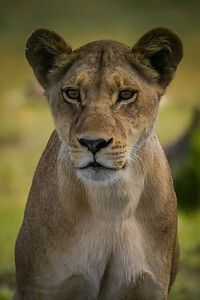 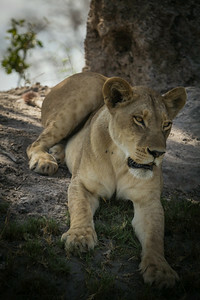 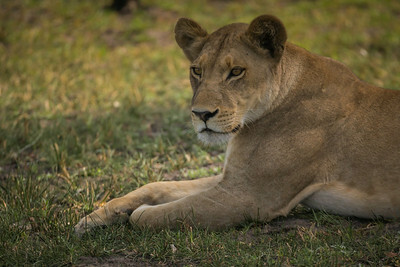 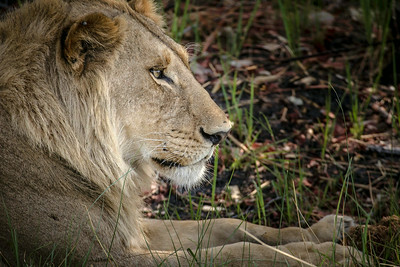 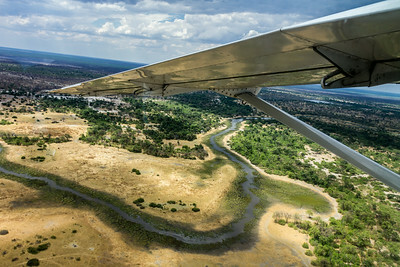 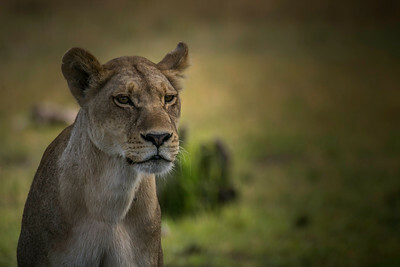 Arial overview, Khwai River, Okavango Delta, Botswana, Africa. 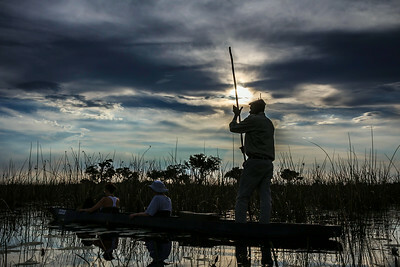 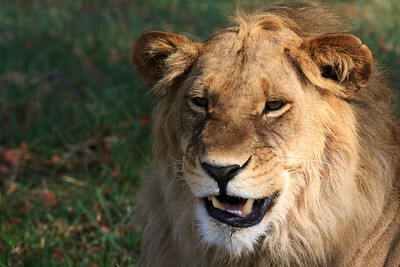 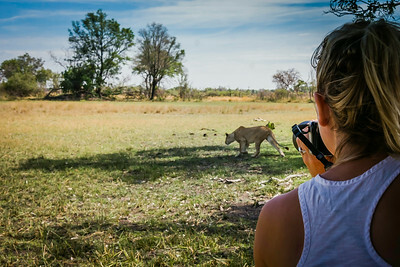 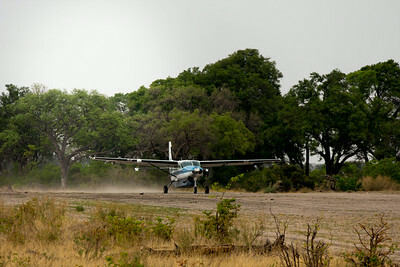 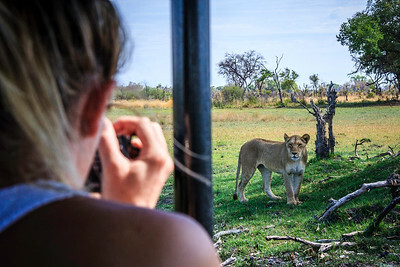 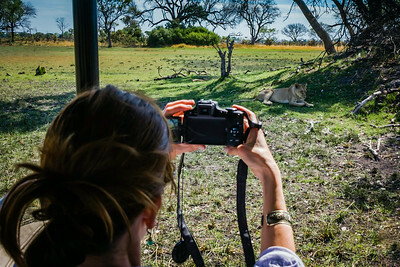 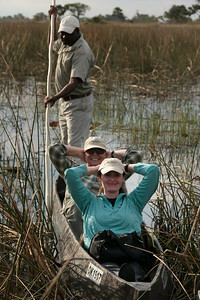 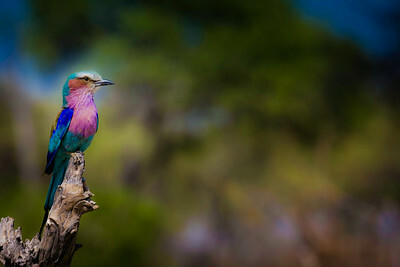 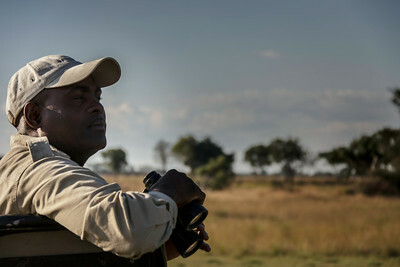 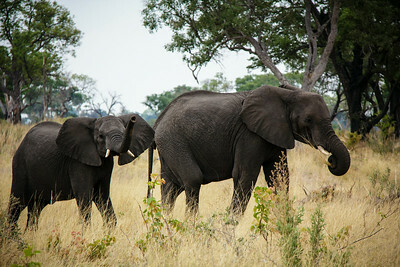 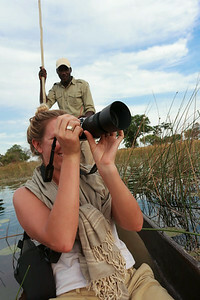 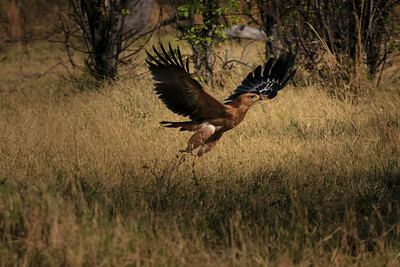 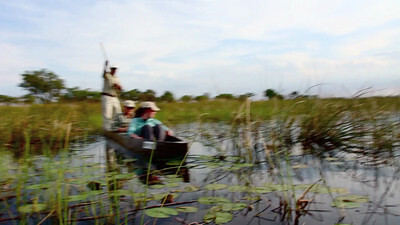 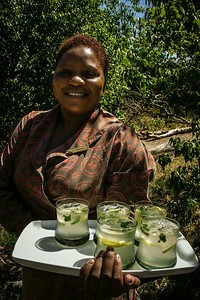 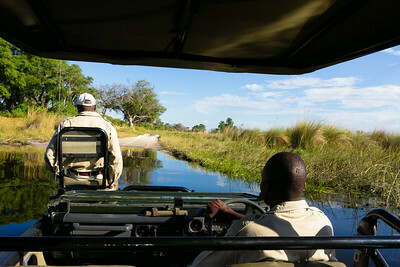 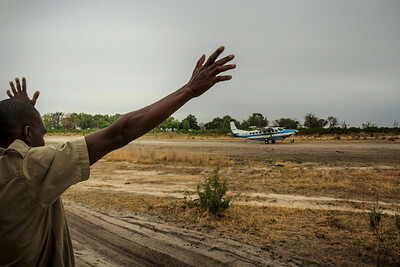 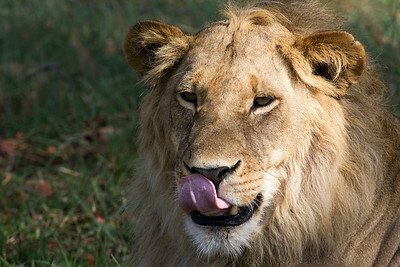 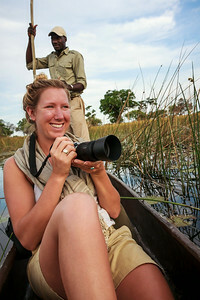 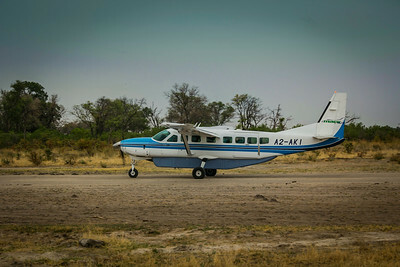 Camp staff welcome guests at Machaba Camp, Okavango Delta, Khwai River region, Botswana, Africa. 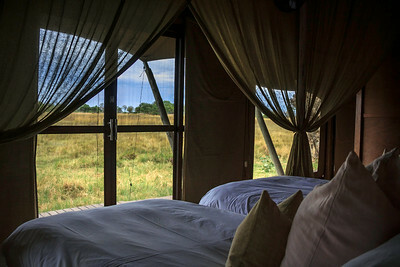 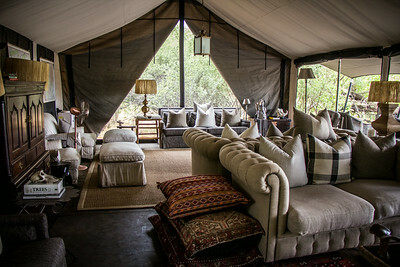 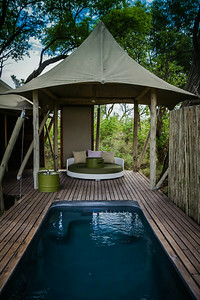 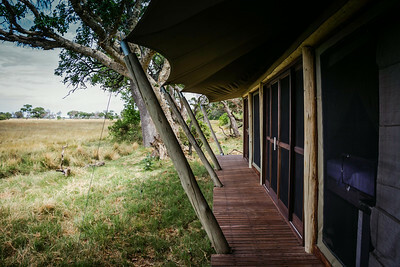 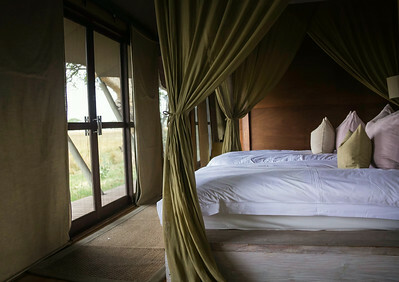 Tented lobby and common area, Machaba Camp, Okavango Delta, Khwai River region, Botswana, Africa. 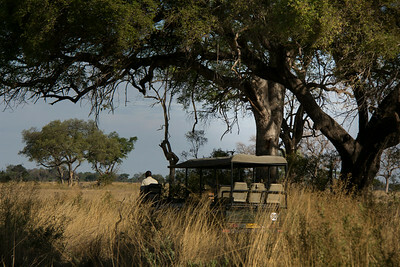 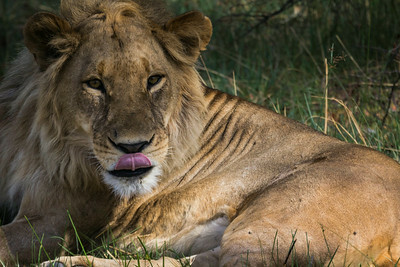 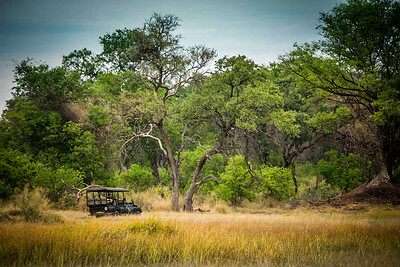 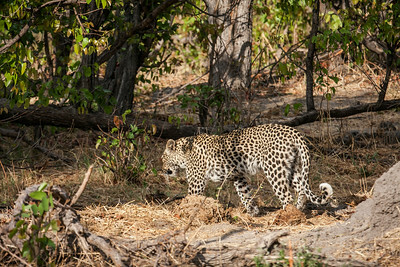 A wild leopard retreats into the forest, Moremi Game Reserve, Okavango Delta, Khwai River region, Botswana, Africa.